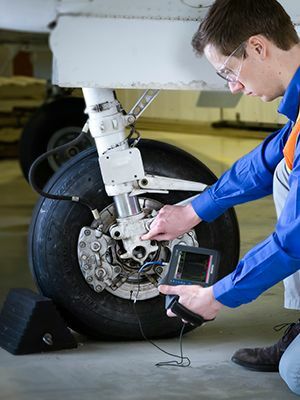 Don’t compromise on the inspection capabilities of your flaw detector. 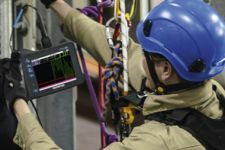 The EPOCH® 6LT portable flaw detector combines the functionality of a powerful ultrasonic flaw detection device with a form factor designed to thrive in rope access and high portability applications. 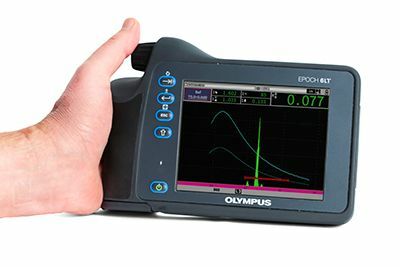 Portable and easy to use, the EPOCH 6LT flaw detector is an ergonomic, rugged instrument that delivers user comfort and more uptime. The EPOCH 6LT flaw detector’s workflow is simple and straightforward. 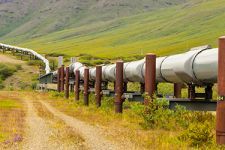 Despite the instrument’s small size, it has the features and functions to meet the requirements of nearly any conventional ultrasonic inspection application. 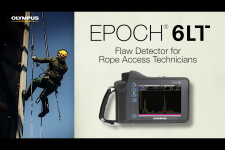 For rope access technicians, the EPOCH 6LT flaw detector offers features to help keep you safe during challenging inspections. 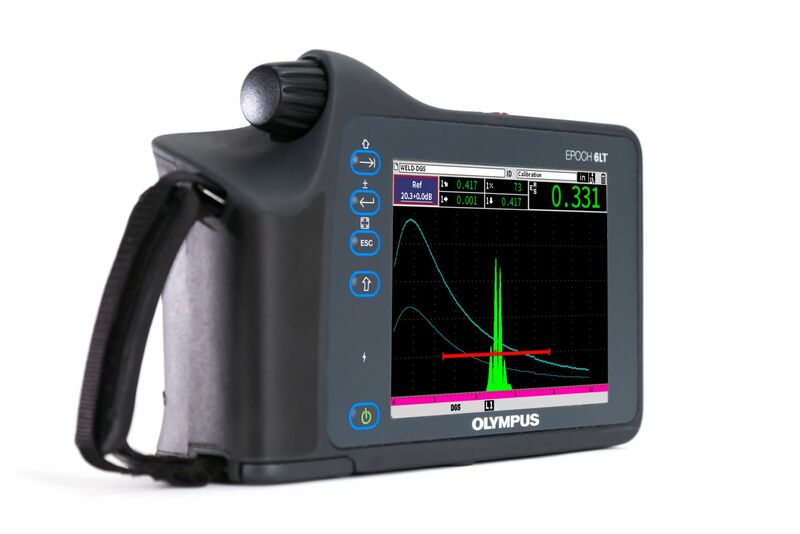 The EPOCH® 6LT portable flaw detector has a variety of standard and optional software features designed to meet a wide range of flaw detection applications. Exporting saved inspection files for reporting is easy. Send your inspection results to a removable USB memory stick in a variety of convenient file formats, such as BMP, CSV, and PDF, to quickly communicate your data. Cloud file management includes all EPOCH 6LT file types, making it easier than ever to report and communicate your inspection results. Dynamic DAC/TCG: Calculates signal amplitude as a percentage or decibel level compared to a DAC curve or a reference echo amplitude fixed at a time-varied gain. The DAC version includes standard, custom DAC warning curves, and 20–80% views. DGS/AVG: Enables echo signals to be evaluated with a DGS/AVG diagram, which illustrates the relationship between echo height, flaw size, and distance from the transducer. AWS D1.1 and D1.5: Provides a dynamic reflector indication rating for various AWS weld inspection applications. 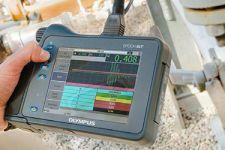 This enables more efficient inspections by eliminating manual calculations. 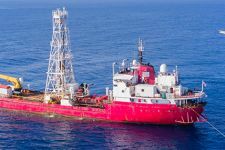 Corrosion Module: For corrosion inspections, this feature enables automatic ultrasonic setups based on transducer selection with automatic probe recognition for all standard Olympus corrosion dual transducers, Automatic Gain Control (AGC), a thickness gage measurement algorithm, true V-path correction, and transducer wear compensation using an automatic zero function (“Do Zero”). The module also features a color-coded grid view for improved corrosion reporting capabilities. Back Wall Echo Attenuator (BEA): Attenuates the back wall of an inspected part using the screen region defined by Gate 2. BEA software enables the user to monitor for back wall drop off while scanning at a high gain level. Ingress Protection (IP) engineered to IP67 (dust tight and water submersion) and IP65 (dust tight and water jets) per IEC 60529-2004 (Degrees of Protection provided by enclosures—IP Code). 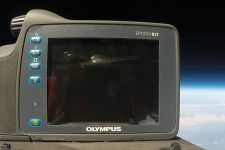 The product rating is confirmed by means of Olympus' internal design verification test process. MIL-STD-810F, Method 511.4, Procedure 1. MIL-STD-810F, Method 516.5, Procedure I, 6 cycles each axis, 15 g, 11 ms half sine. MIL-STD-810F, Method 514.5, Procedure I, Annex C, Figure 6, general exposure: 1 hour each axis. User selects up to four measurements from either gate to display on the live screen. 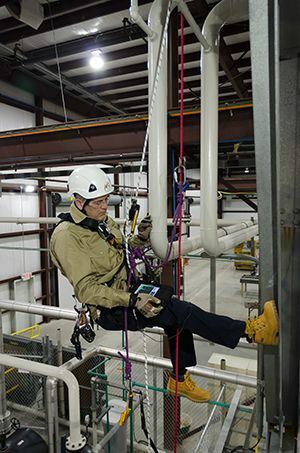 With features designed to make rope access inspections easier and help keep these inspectors safe, the EPOCH 6LT flaw detector is optimized for one-handed operation and easily attaches to a user’s leg or safety harness. 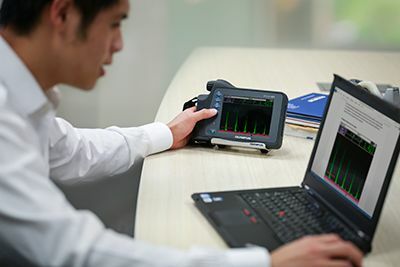 NDT inspectors working in high portability industries need a lightweight instrument that has the features they need to do their job. The EPOCH 6LT flaw detector meets these needs; it’s comfortable to hold in one hand and small enough to fit in a bag with other equipment. 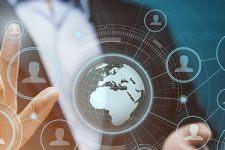 What Does It Mean to Work Connected?